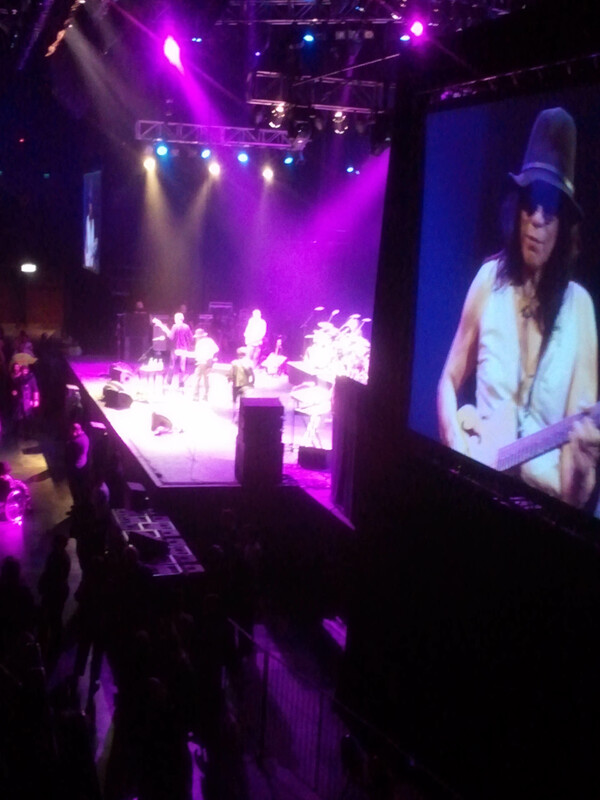 I went to see Rodriguez live in Cape Town the other night, and it was totally worth the R420 I paid. Wait … 420 bucks!? Is that a Big Concerts joke I only just got? Because of one thing and another, I never got to see any of Rodriguez’s previous concerts in South Africa. After watching the documentary I rued not seeing that first concert in Cape Town, which looked so incredible and heart-warming, although a friend insists the reality was very different to the celluloid; that Rodriguez was so intoxicated he could barely sing, and that the crowd were more confused and disappointed than the enraptured and awed they appeared on screen. Don’t know if that’s true or not. This time around perhaps the concert was lacking in other ways, after all Rodriguez is 70 now – and quite an ‘old’ 70, when I think of my sprightly 83-year-old grandfather. But it was still one of the best musical experiences I’ve ever had. Just to hear those great lyrics live, and that voice, which really hasn’t lost much since 1970.